Jethani: So the issue is not innovation or tradition, but why we're using a particular method or technology. 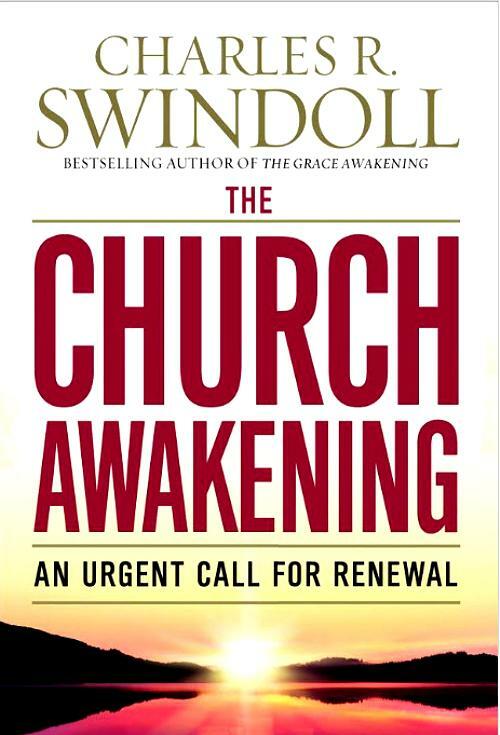 Swindoll: Exactly. I have been to church services, and you have too, where the only people who knew the songs were the band. I'm not edified. I'm just watching a show. And they're not interested in teaching me the songs either. They just sing louder to make up for the fact that no one else is singing. Loud doesn't help. Why do they do that? Do you want me to be impressed with how loud you are singing, how accomplished you are? I'm not. I'm not here to be impressed with you. I'm here to fall back in love with Christ. Innovation doesn't have to be loud or a gimmick. How about silence? Most people get no silence in their world. Imagine three or four minutes of silence. No music. No background distractions. ...[B]e innovative. I'm not against screens, or new songs, or innovation. I just don't like the gimmicks. I want to know when worship is over that that leader's sole purpose was to glorify the Lord Jesus Christ. He's not important to himself, and I'm not. Here's what troubles me: I don't know why leaders younger than me aren't saying this. .... Why aren't they raising questions and showing some concern for where the church is heading with its focus on media and headcount and passive spectating? I know one church that has 17 people on their media staff and only 12 on the pastoral staff. 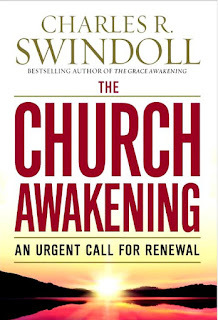 A summary of the fourth chapter of Swindoll's book, The Church Awakening: An Urgent Call for Renewal, "examines how worship should be something we do, not fight about." How right Worship is not just loud or newness. Worship is about touching Heaven and having Heaven touch the believer. And when we worship we are changed because we have been in the presence of Heavenly Father through the Son in the Sprit.